Today I’m participating in the MEET AN AUTHOR Blog Hop, designed specifically for readers to find and get to know new authors and discover great new reads. A little about me: I write both middle grade and young adult books, drawing on my background as an ex-engineer and scientist, and the generally zaniness of having a house filled with three boys. You can find out more about my works-in-progress here. 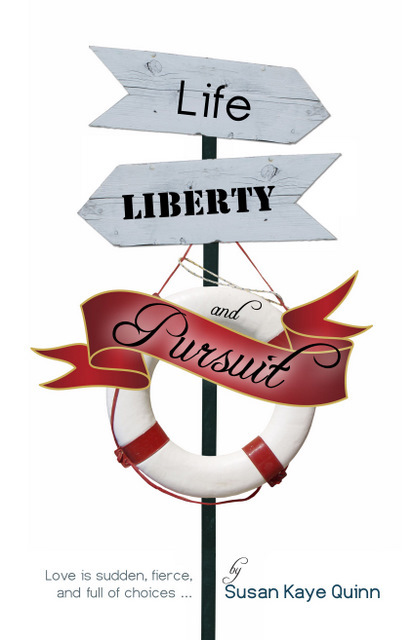 A little about my book: Life, Liberty, and Pursuit is my debut novel. It is a teen love story about a college-bound girl who falls in a pool, the navy recruit who saves her, and their struggle to choose between following their dreams and daring to love. The book website has lots of tidbits, including a sneak peek at the first chapter, a lost love letter, and ways to support our soldiers. READERS: Follow as many authors as you like. Use the Linky list below to hop along from author-to-author and discover some great new reads! Leave a comment and introduce yourself! We’re all happy to chat and get to know our readers. You’re the reason we write! You will need to enter your name and blog url into the Linky tool on Cali Cheer Mom’s site. This allows readers to hop from blog to blog. If you’d like to share the Linky list in a post on your blog, just follow the link and grab the code. Hop around and meet “new to you” authors and discover great new reads! Not published yet so I can't take part, but I will continue reading! What a great way to find out about new authors!! Thanks for posting this! @Matt & Tabitha Thanks for stopping by! What a cool way to blend my two favorite things – reading and writing. I'm looking forward to hopping from blog to blog to meet new authors and find new books. Your book sounds great, Susan, and I love the cover! @Brenda Excellent! I hope my Reading Teen friends find you and check out your book! @Mary Thank so much! And from the same wonderful Omnific folks that designed the cover, I just found out the trailer is done! Woot!! So, I'll be sharing that soon too. I just went and watched the trailer, Susan. Fantastic! I love, love, love *am stealing* this idea 😀 You're feature on my blog is coming up next week. I can't wait to tweet about it. @LM Steal away! I believe Cali Mom is doing the Author Blog Hop every monday – I will not be participating the next two Monday's because I will be out of town 7/23 – 8/2. Enjoy! p.s. I'll try to pop in when my feature is up, but I may miss it, depending on internet access. Thanks! !